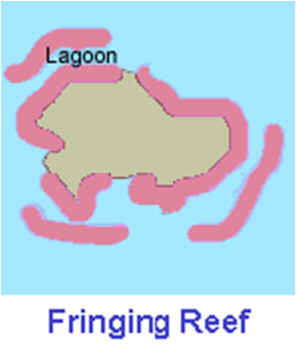 Fringing reefs are coral reefs that grow in shallow waters and border the coast closely or are separated from it by a narrow stretch of water. 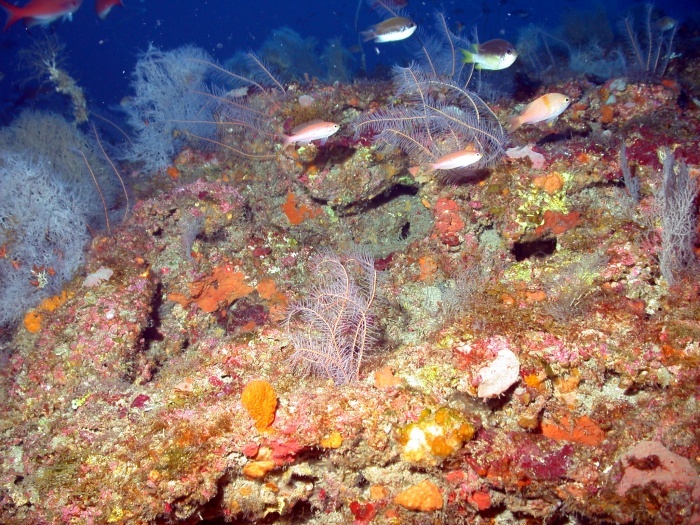 Fringing reefs consist of several zones that are characterized by their depth, the structure of the reef, and its plant and animal communities. These regions include the reef crest (the part of the reef the waves break over), the fore reef (the region of medium energy), and the spur and groove or buttress zone (the region of coral growth which includes rows of corals with sandy canyons or passages between each row). 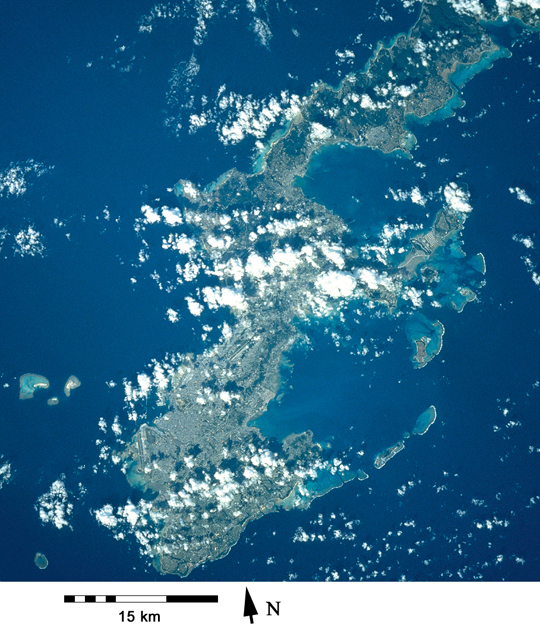 Barrier reefs are reefs that are separated from land by a lagoon. 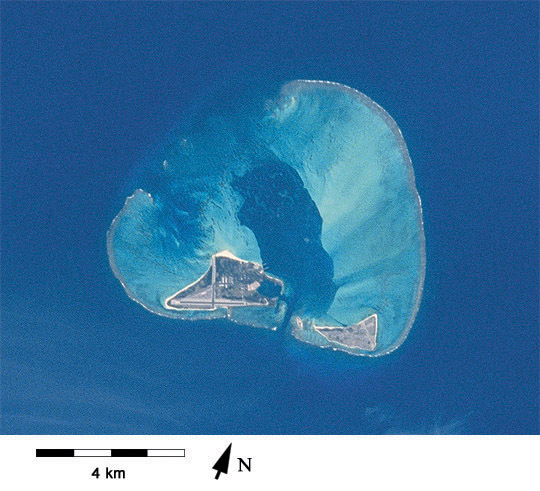 These reefs grow parallel to the coast and are large and continuous. 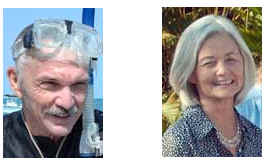 Barrier reefs also include regions of coral formation that include the zones found in fringing reefs along with patch reefs (small reefs), back reefs (the shoreward side of the reef), as well as bank reefs (reefs that occur on deep bottom irregularities). 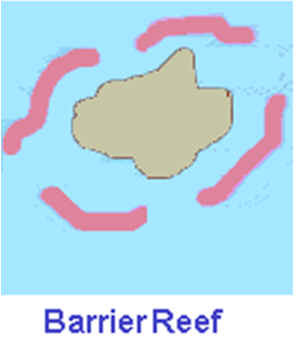 Barrier reefs also include reef flats (the are of the reef not exposed), the reef crest, which runs parallel to the coast and is protected from waves, and a coral terrace (a slope of sand with isolated coral peaks). These features are followed by another coral terrace and a vertical drop into deeper waters. 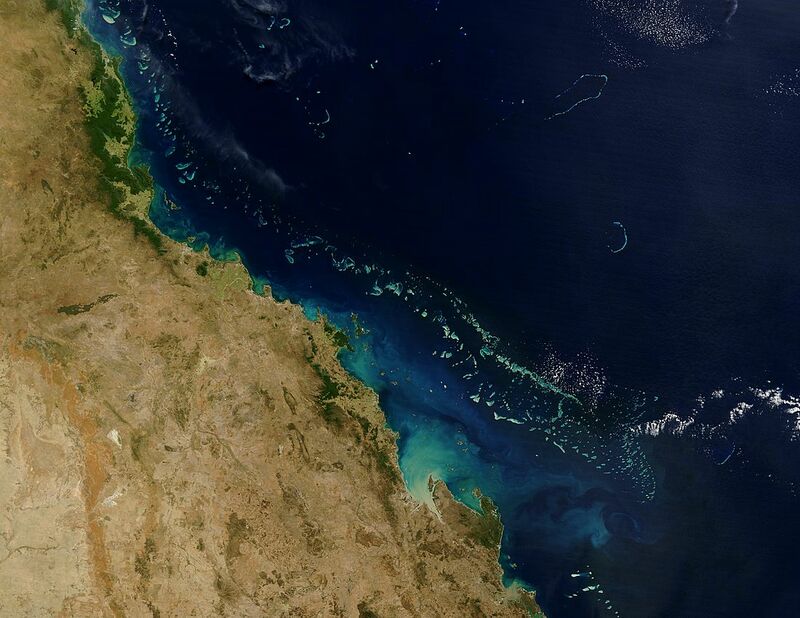 Australia’s The Great Barrier Reef arches over 2000 kilometers along the northeast coast of Australia. 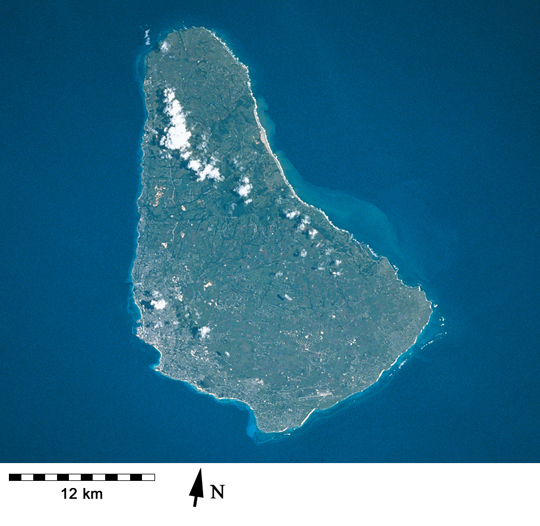 Atolls are annular reefs that develop at or near the surface of the sea when islands that are surrounded by reefs subside. 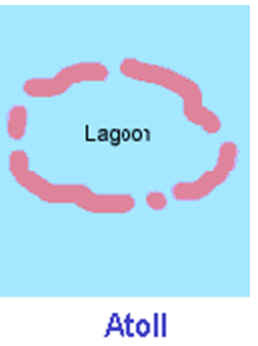 Atolls separate a central lagoon and are circular or sub-circular. 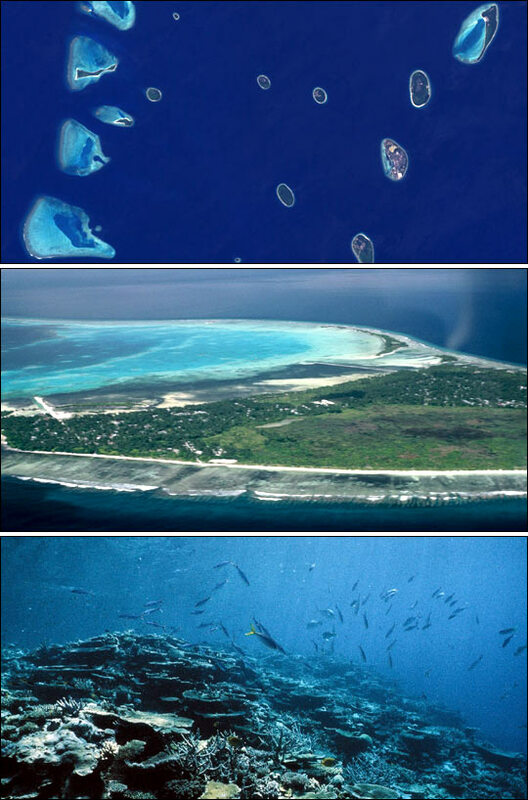 There are two types of atolls: deep sea atolls that rise from deep sea and those found on the continental shelf.